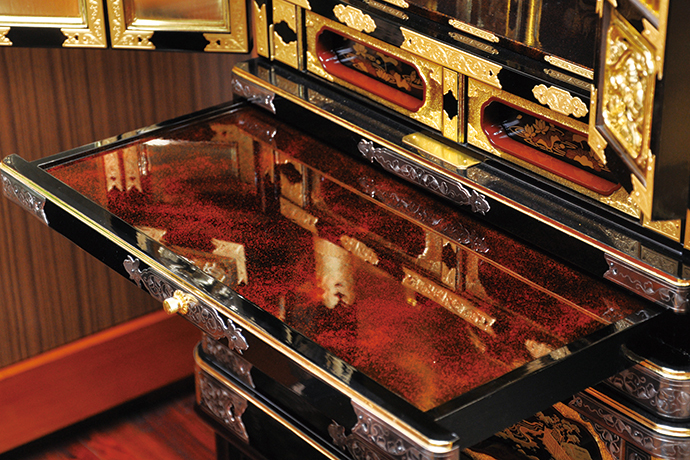 There are FIVE special artisans in each process, wood works, carving, metal works, urushi (lacquer) painting and drawing. This is a common way among three Butsudan manufactures in Niigata. Their techniques of making metal fittings are highly praised in Sanjo and Tsubame.